Yodeling and the clang of cowbells welcome visitors en route to Zurich Airport’s baggage claim. The recorded sounds say “Switzerland” in language all can understand. Then at Zurich’s main railway terminus, Hauptbahnhof—the departure point for the Swiss Silk Road — the unique greeting continues as a blessing from Niki de St. Phalle’s balloon-like, suspended guardian angel. 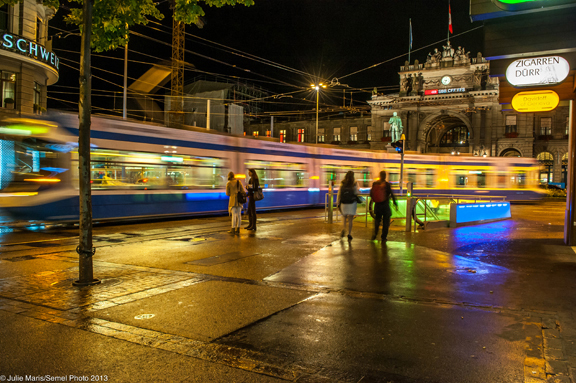 Switzerland has a knack for welcoming tourists to the country and to the Swiss Silk Road. The route weaves for hundreds of miles and seven hundred years. Before the Napoleonic Code, silk worms and textile trading houses followed by chemical companies involved in silk dying, formed the economic foundation of the banking system. Today, a new breed of entrepreneurs is reintroducing the silk and embroidery culture to stimulate tourism and the economy. The Hauptbahnhof, along with the nearby statue of Alfred Escher, the founder of modern Switzerland and the railway system, are part of the Swiss silk route and history. Escher’s bronze statue faces Bahnhofstrasse, one of the world’s toniest shopping streets that leads to Limmatquai and the Schipfe, the city’s original port. By the middle of the 19th c., Zurich, the world’s second largest silk producer, located its numerous factories to Lake Zurich to weave black taffeta. Restaurants, artisans, and boutiques now occupy the 16th c. and 17th c. waterfront structures originally used to ship silk. Those buildings and nearby upscale shopping streets with traditional oriels –– brightly painted and carved bay windows; Haus Hiltl, Europe’s oldest vegetarian restaurant with extensive rows of dishes; and St. Peter’s Church and its historic 28 ft. clock face, hint at the silk culture and character. From the early 1900s silk and textile industries declined, the result of world politics and competitive foreign wages. To counter the trend, Fabric Frontline opened in 1980 with designer silk-screen printing for haute couture and fashion accessories. Vivienne Westwood, Christian Dior, and Isabel Toledo transformed Fabric Frontline’s satin, crepe de chine, and georgette into design-winning garments that include Michelle Obama’s inauguration coat and dress. Their showroom in Zurich’s 4th District is now in one of the city’s hippest design centers located in a neighborhood balancing changes from its industrial and colorful past. Nearby in Zurich West, a twenty-minute walk or a quick free bike ride May to October, Im-Viadukt built beneath massive arches that support railroad tracks above, is filled with young designers’ fashionable shops and food markets where one can sample local cheeses or sit at a panini bar for a quick lunch. 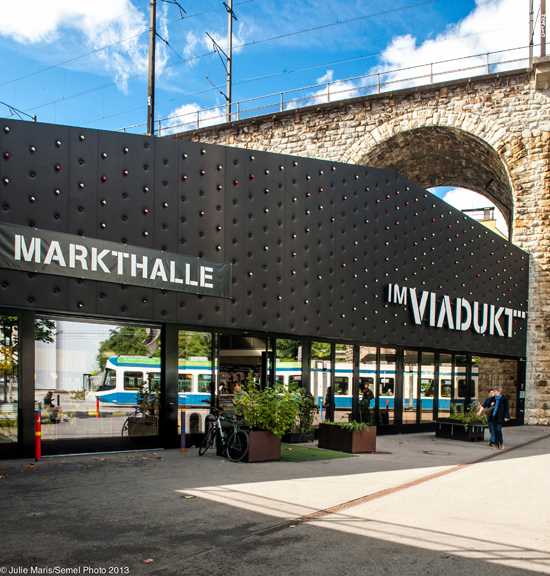 Along with Schiffbau, a cultural center that opened in 2002, Im-Viadukt helped transition the area into a shopping, dining, and music destination. 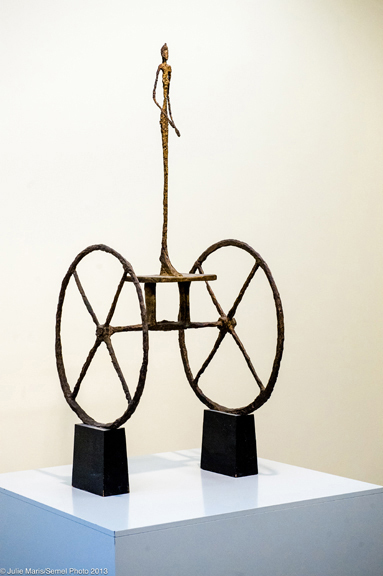 Use a ZürichCard for free entrance to view the Kunsthaus Zürich’s and Alberto Giacometti’s extensive sculpture collection. Then hitch a ride on his chariot and follow the Swiss Silk Road west to Ueli’s silk and mulberry tree farm. 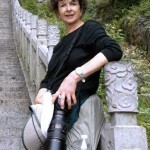 Ueli Ramseier, a farmer with an agricultural diploma and university degrees in textile engineering and anthropology, began the silk project in 2000 and formally organized the Association of Swiss Silk Producers in 2009. The objective: supplemental income for farmers and promotion of the Swiss textile industry with consumer transparency and fair trade. One hundred and forty farmers, silk producers, weavers, twisters, and dyers form the integrated supply chain. During the season, schedule a visit to a silk farm. Follow the glint of white gold linen to St. Gallen, an hour from Zurich, with the Swiss Travel System pass that allows unlimited travel on various modes of transportation including Belle Époque paddle steamers and buses. 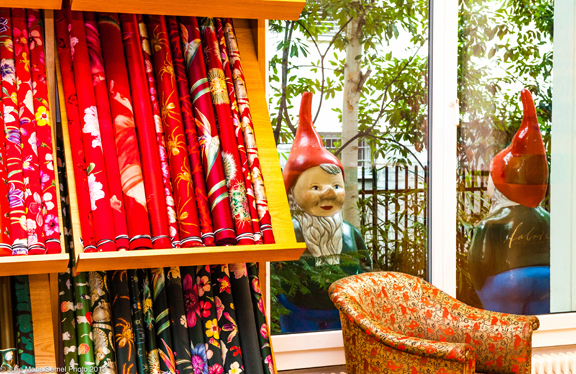 The Abbey Precinct should be the first stop on St. Gallen’s textile history route. St. Gallus established a scholastic community in 612 A.D. that evolved into a Benedictine monastery and the Cathedral of St. Gallus and Abbey Library complex, a UNESCO World Heritage Site. The rococo library hall with its 175,000 hand-written volumes and incunabula, are open to the public for research and visits. Slip on large felt slippers to see the illuminated and medieval manuscripts, the cabinet of curiosities, and floors made of thirty species of wood. The white gold textile standard set by guild houses that signed the Gallen Seal of Approval in the 1600s ensured that St. Gallen’s bleached and soft white linen became a world market commodity that resulted in the city’s financial growth. Built for wealthy linen merchants, split-timbered houses with elaborate oriels of wood and stone still survive. Gallusplatz, next to the cathedral complex, and the old town streets boast of more than one hundred oriels carved with figures and spirited animals. Schlössli, a GaultMillau restaurant in a nearby repurposed 16th c. castle, serves seasonal and local food for thought along with exceptional regional wines. Dinner might yield an opportunity to hear an earringed yodeler with his earthenware bowl spinning coins, similar to a cowbell accompaniment. 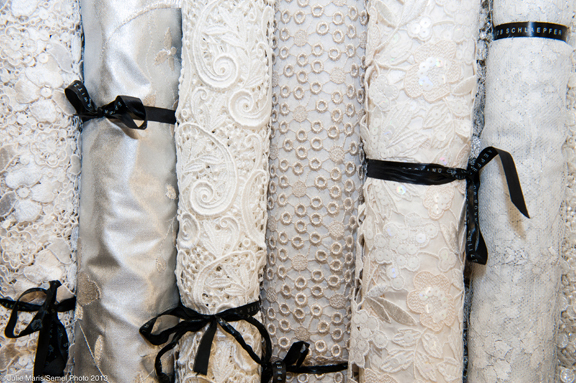 By the 1800s, embroidery replaced linen and cotton as St. Gallen’s most important export. Visit the Textile Museum, a former school that illustrates the background and technical story with its collection of fabric sample books including guipure, known as St. Gallen lace, and a working embroidery machine. Textilland Ostschwiz founded in 2010 is an economic and cultural initiative established to integrate the past heritage with the future. 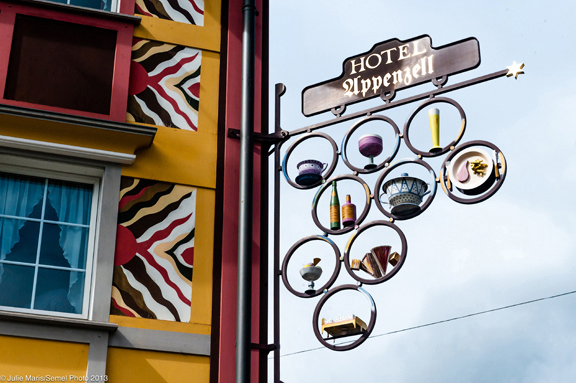 To differentiate eastern Switzerland’s textile history, museums, textile country hotels, and fashion designers are making St. Gallen a vital destination. 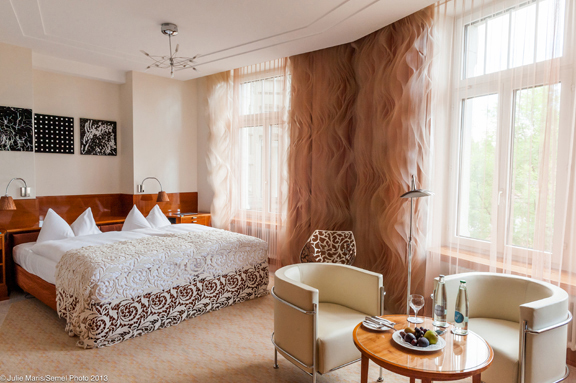 Years ago, the Einstein St. Gallen hotel housed embroidery machines but today it’s a living museum where one can snuggle in history beneath local designer fabrics. After a cozy night’s sleep, hike along the textile trails through hills and valleys filled with Switzerland’s traditions and resonating with Gregorian chants and the whirring of looms. Silkworms imported from Italy in the 11th c. grew in such numbers that by 1856 they ate their way through 560,000 mulberry trees. Once Ueli’s plantation of eight hundred trees consisting primarily of Japanese Kokuso 21 matures, it will support 160,000 silk worms. Four growing stages of larvae of twenty-five days from May to September produce longer and thicker filaments from genetically bred, larger silkworms more quickly than years ago. Eggs need high humidity and heat to hatch and form cocoons at the end of those cycles. 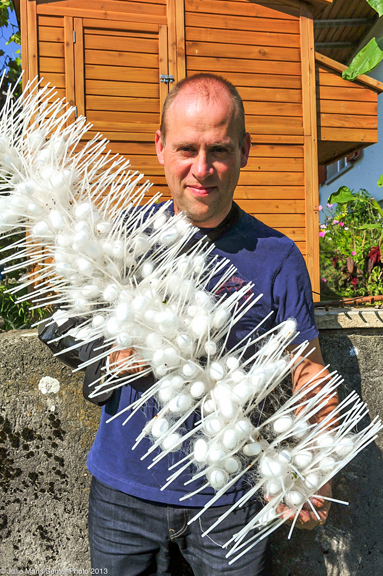 Last year, Ueli raised 80,000 silk worms in his garage and bathroom. Until this article, I’d never read a story that made me want to catch the next flight to Switzerland. This silk road piece was fascinating!Wish there had been space for an oriel picture. Wonderful article and images.